As gamers and movie goers are inundated with zombie movies and games, it was inevitable that another game about the "undead" would be released on the XBox 360 and Zombie Apocalypse is the game in question. Reminiscent of those classic arcade games from the 80's and early 90's, Zombie Apocalypse transforms the player into zombie hunter as they use whatever means necessary to vanish these vile creatures and best of all, it's the way you engage in this that makes Zombie Apocalypse so damn fun. The game revolves around 55-nights as you go on a killing spree of zombies but you also need to find survivors and save them from this endless hoard. Apart from killing and saving, the way you destroy these creatures will help you with points as you shoot, cut and blow these creatures away. Although in single-player mode, the game is a little repetitive because half way through your 55 nights, you've pretty much been there and done that, however the game does allow to play with up to 4 other players via local or online play. The control system of Zombie Apocalypse is perfectly mapped on the 360 controller and only assists in the enjoyment of the game. It's also the small touches in the game that add to this such as you being grabbed by a zombie and you need to use the analog stick to shake it off you and then blast it away. Or feeling the rough power of the chainsaw cut through undead cartilage, cool stuff! Disposing zombies is the key to Zombie Apocalypse and this can be achieved by a variety of weapons from shotguns to flamethrowers and even teddy bears stuffed full of explosives. Of course, nothing is more satisfying than using a chainsaw on these evil violations of nature. 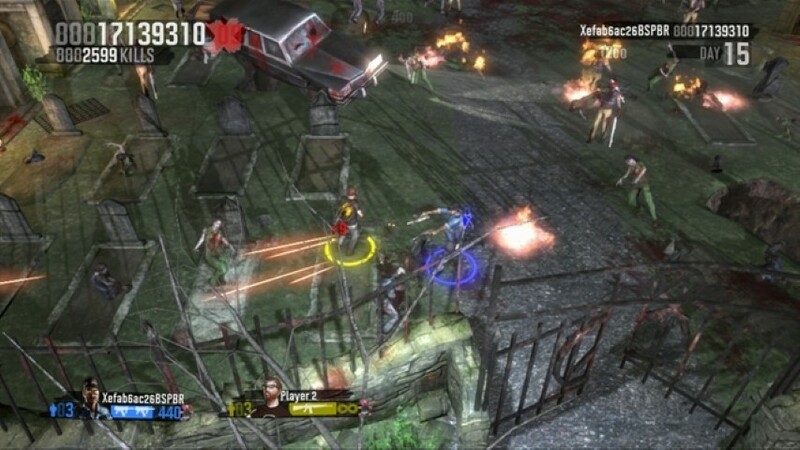 Apart from the standard zombies that are part of this game, it also includes a variety of other zombies such as our favourite, the pregnant prom queen zombie who shoots demons from her fat stomach. It's these over the top stereotypes and clichés from this genre that helps cement this title. 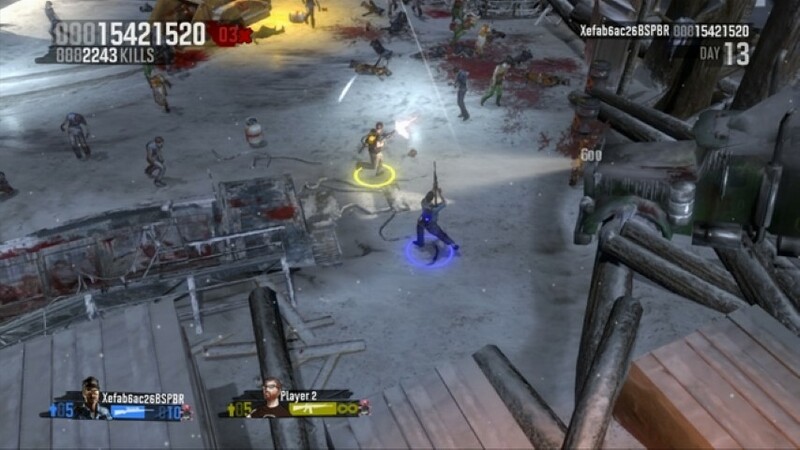 The game itself is a little more fun in multiplayer mode that allows up to 4-gamers to engage in the walking dead and thankfully it does not become as repetitive as the single-player mode because you have others involved that it makes it more fun. With others, your always trying to get the top score and this makes for some competitive fun and of course the Leaderboards. Graphically, the title is visually quite impressive for an XBox Live game with some great attention to detail and some really nice lighting effects. Of course, the star of the title are the zombies themselves, especially the realistic and sometimes over the top gore is easily the cherry on top as blood and brains splatters everywhere. If you use a flamethrower, the zombie will get toasted, if you use a shotgun, they will get a hole blasted in them, it's the small things that make this game so addictively entertaining. At the end of the day, Zombie Apocalypse is the perfect game to relax and unwind, either hunting zombies alone or with friends and it's definitely a stress breaker. 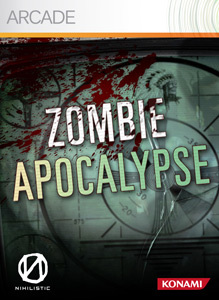 With fun gameplay, albeit slightly repetitive, Zombie Apocalypse perfectly sums up this genre as you send them back to the hell verse they crawled out from. Classic gaming with a 21st century twist and for the price, you really can't complain.